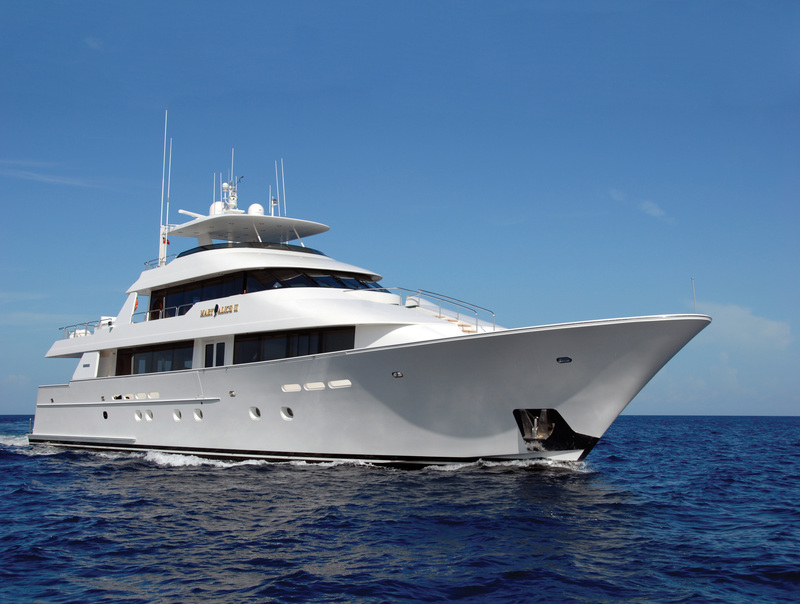 The luxury motor yacht SERENGETI (ex Mary Alice II) is a Westport yacht measuring 39m (130ft) in length. 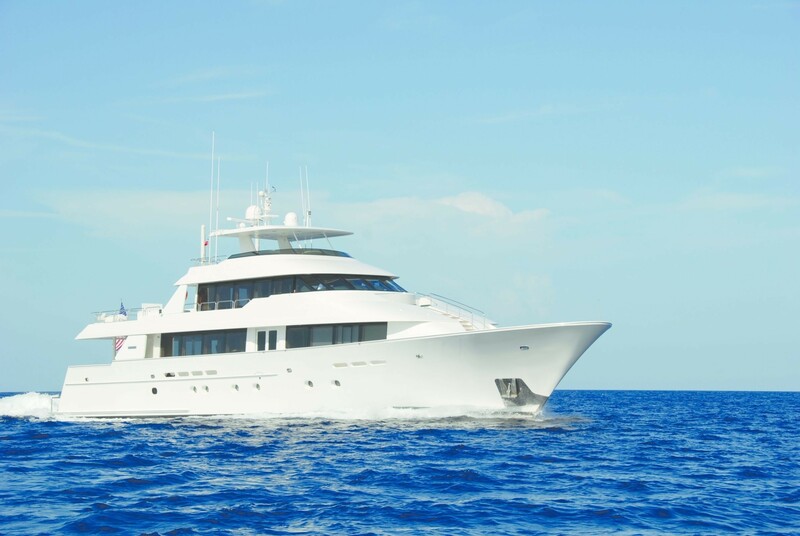 The charter yacht SERENGETI is based in Ft Lauderdale year round and available for luxury yacht charters in Florida or the Bahamas. 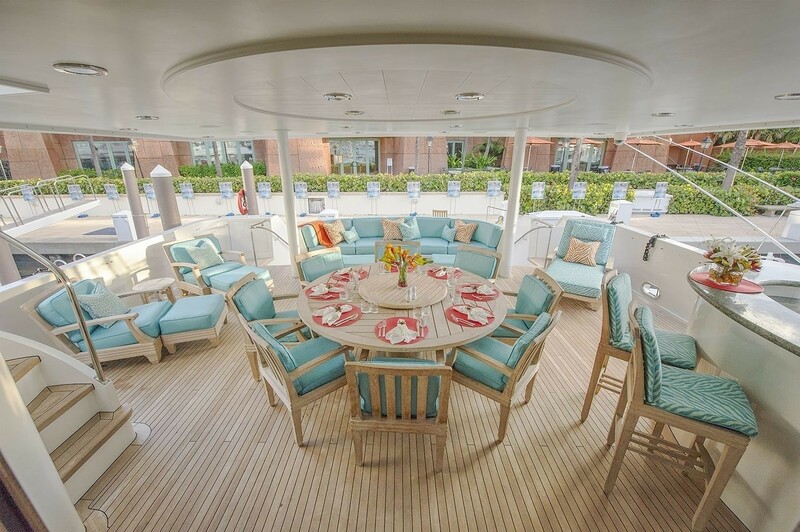 She is able to sleep up to 12 guests in 5 luxuriously appointed staterooms. 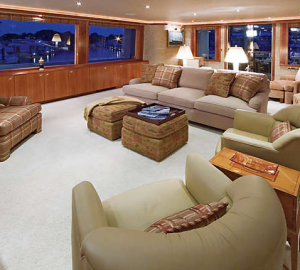 Yacht SERENGETI's Main Salon spans the full width of the yacht and features an extensive collection of original nineteenth century nautical paintings which complement the classic interior. 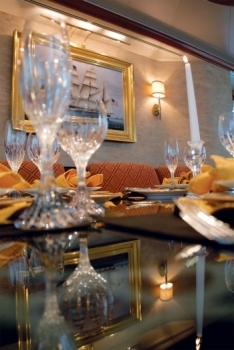 The salon and dining areas are spacious and stately, featuring cherry wood accented with granite. The center buffet which separates the dining area and the dining area features a pop-up 42 inch plasma TV and Blu-ray electronics. 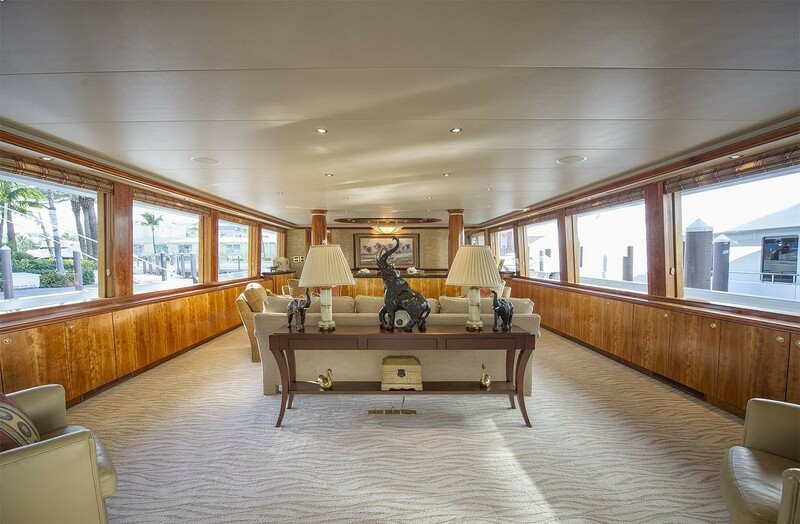 As you continue forward through the Main Salon, past the stairway leading to the 4 cabins on the lower level there is a full width Master stateroom. 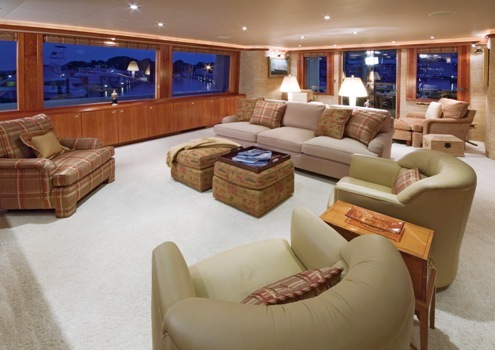 The Master Cabin is impeccably appointed, with a full entertainment system, desk, and a walk-in cedar lined closet. 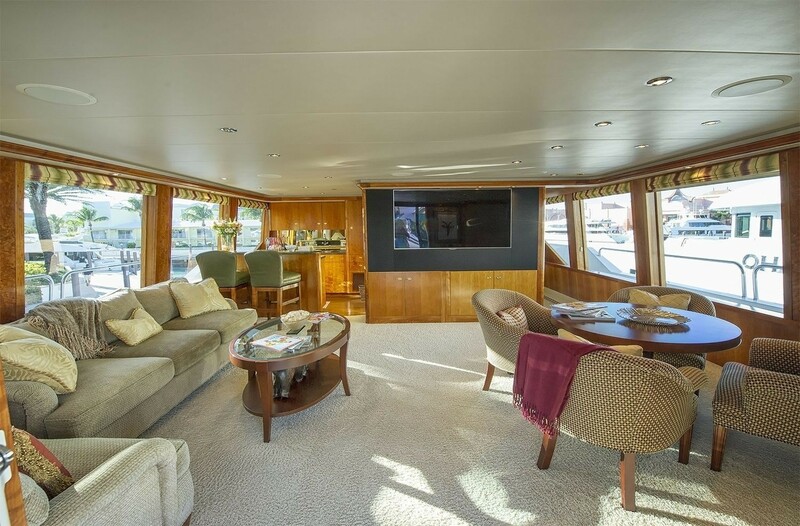 This cabin is quite unique in that it is the only Westport 130 with windows that open for a fresh cross breeze while at anchor. At night, blackout blinds can be inserted for the ultimate peaceful sleep. 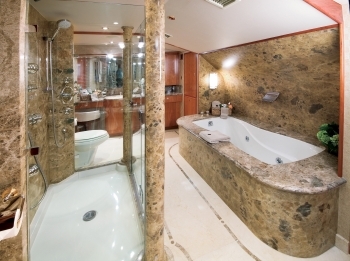 The Master bathroom is impressive with His and Her vanities, a whirlpool bath and a massive glass enclosed shower; all are beautifully designed in marble. 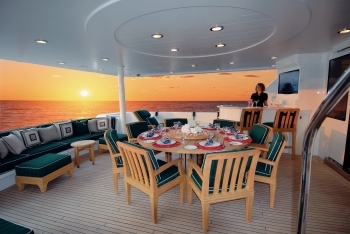 The 4 guest’s cabins on the lower level consist of two King bedded cabins and two Twin cabins. 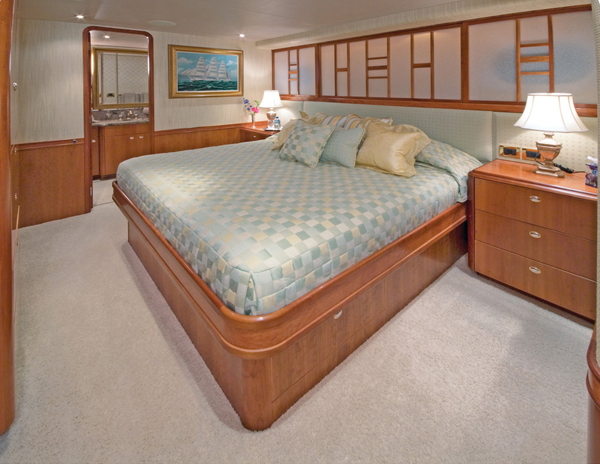 Both twin staterooms will convert to King sized beds to accommodate all types of charter configurations and also have a pullman berth. 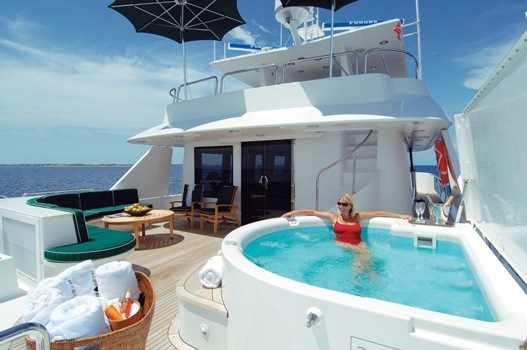 All the staterooms are equipped with en suite bathrooms with enclosed showers as well as closets, entertainment systems and individual climate control. 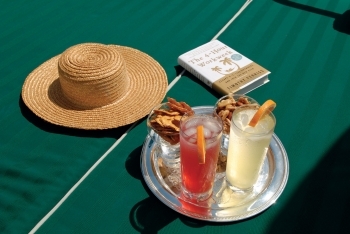 Every stateroom offers Wi-Fi. 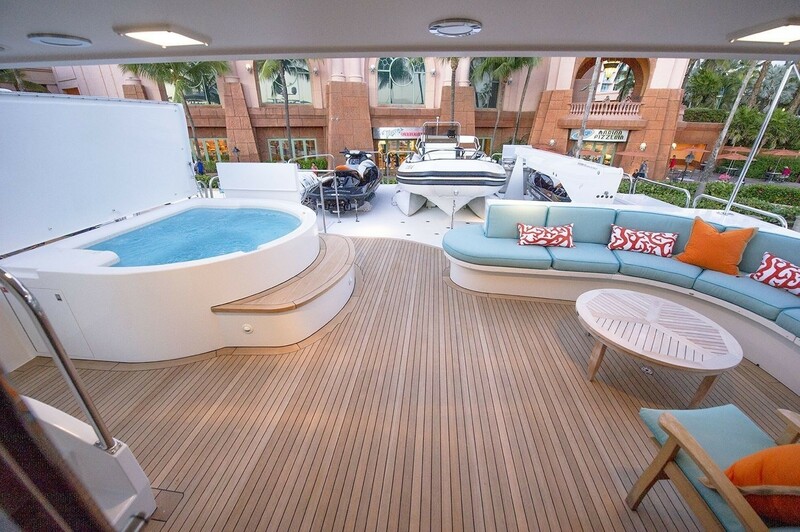 On yacht SERENGETI's upper level, there is a beautiful skylounge with oversized windows offering panoramic views. 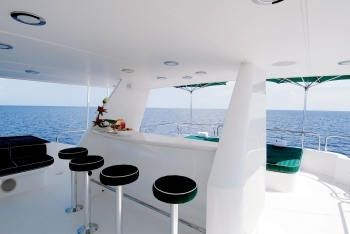 It is well equipped with a complete entertainment system and wet bar making it the perfect place to meet up for hors d'oeuvres and refreshing cocktails at any time of the day. 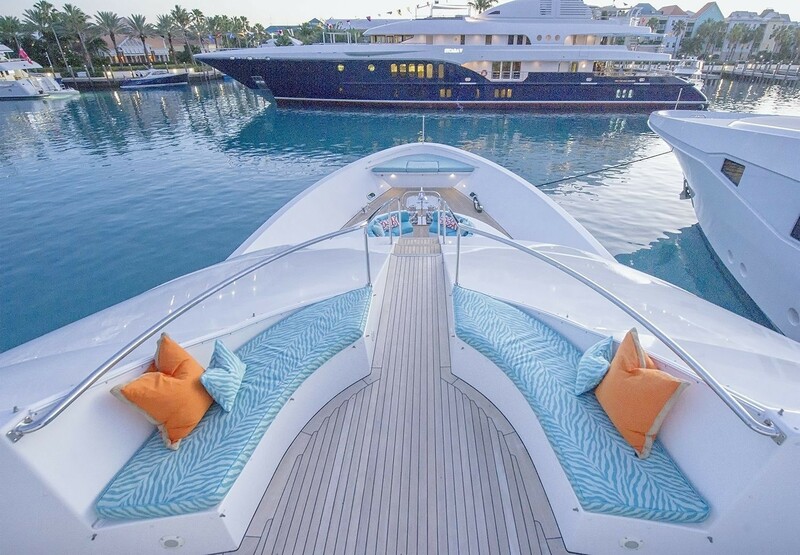 Through the glass doors, there is also plush seating found on the yachts exterior. 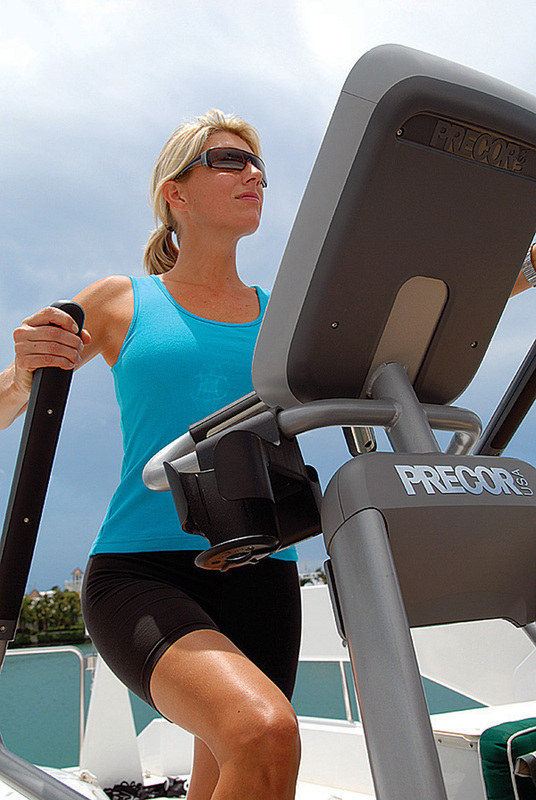 This deck is also home to a large Spa Pool, 40 inch HDTV and full walk-around decks. 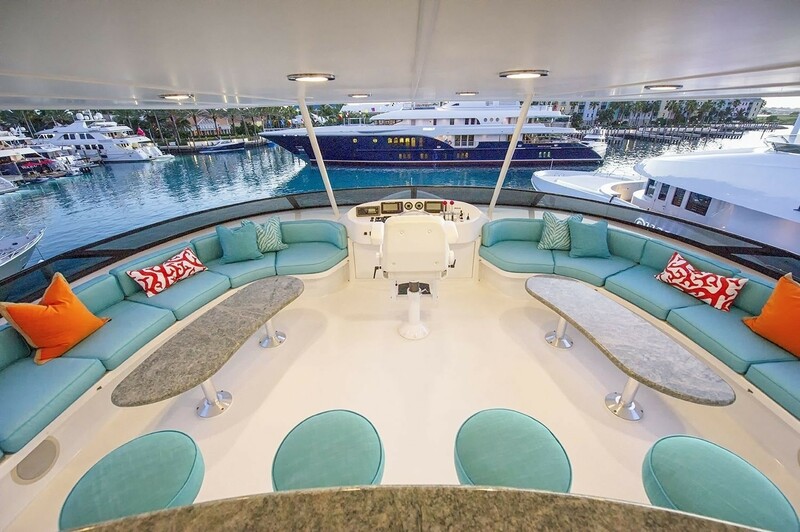 One more level up is the large Flybridge where you will find 360-degree views perfect for viewing the sunset. 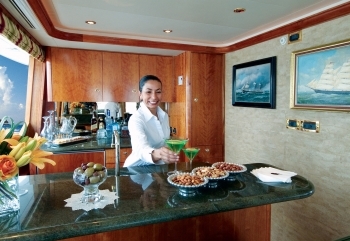 This area is also a favorite while underway as it also contains a full wet-bar, grill and refrigerator. 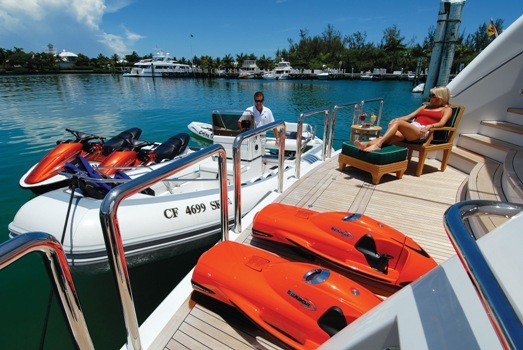 SERENGETI is equipped with the best toys for unlimited fun on the water while on charter. 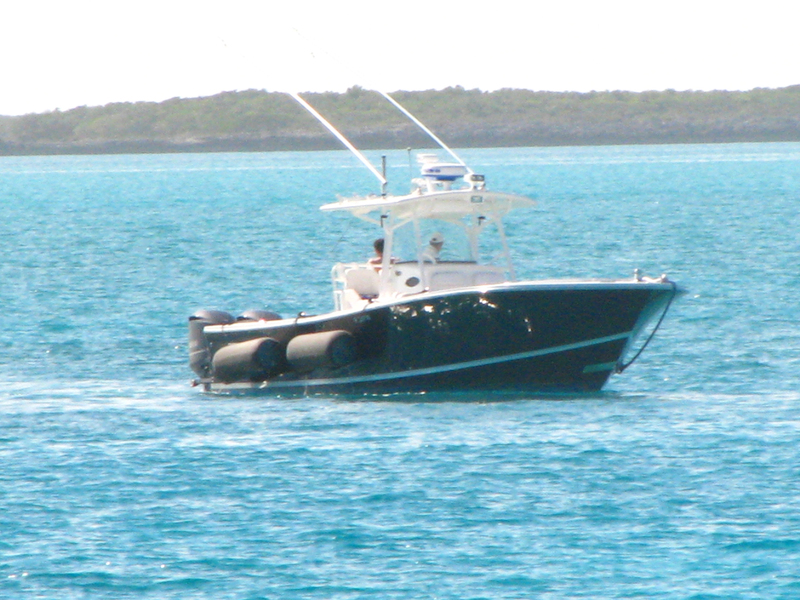 She has a fast tender that can transport you to the beach for a picnic, take you fishing, or tow you behind while you are waterskiing. 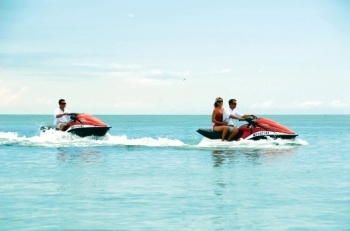 The new jet skis and water scooters are simply exhilarating and the ocean kayaks and snorkeling gear are sure to impress you. 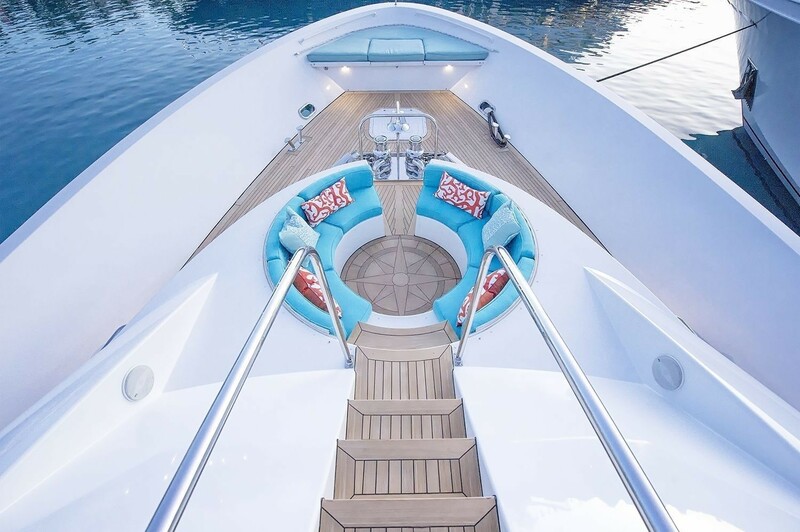 When you're ready to relax, the generous swim platform has plenty of room for sun bathing, plus a freshwater shower for cooling off. 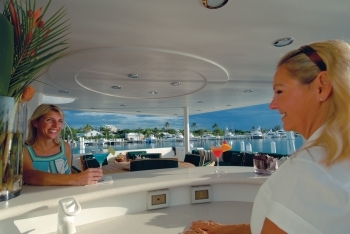 The SERENGETI motor yacht has a professional crew focused on making your charter experience enjoyable and memorable. 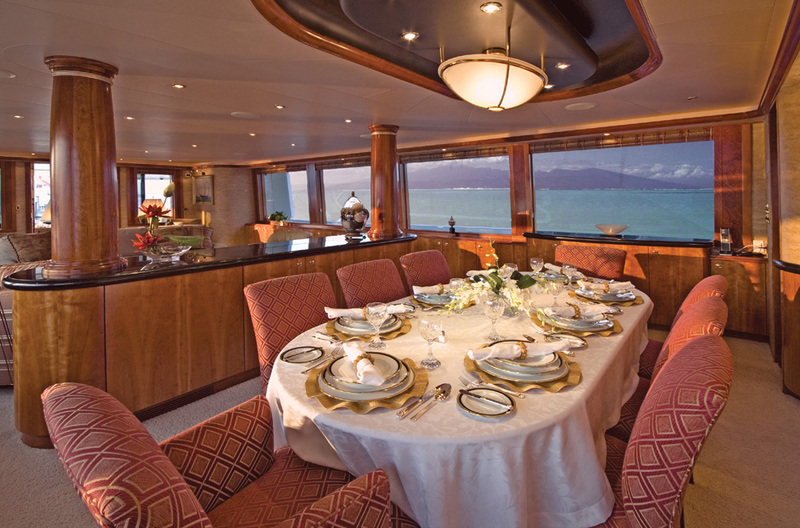 The luxury motor yacht SERENGETI is able to accommodate up to 10-12 guests in 5 beautifully appointed staterooms. 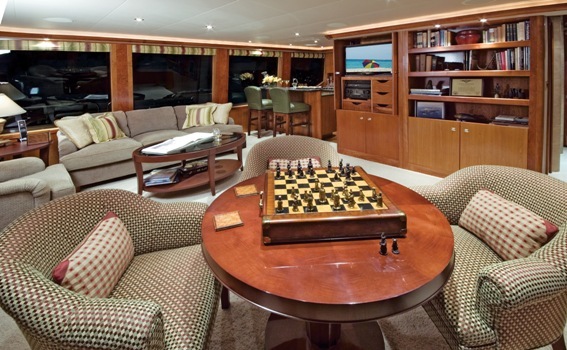 The Master Stateroom in located on the main deck and spans the full width of the beam. 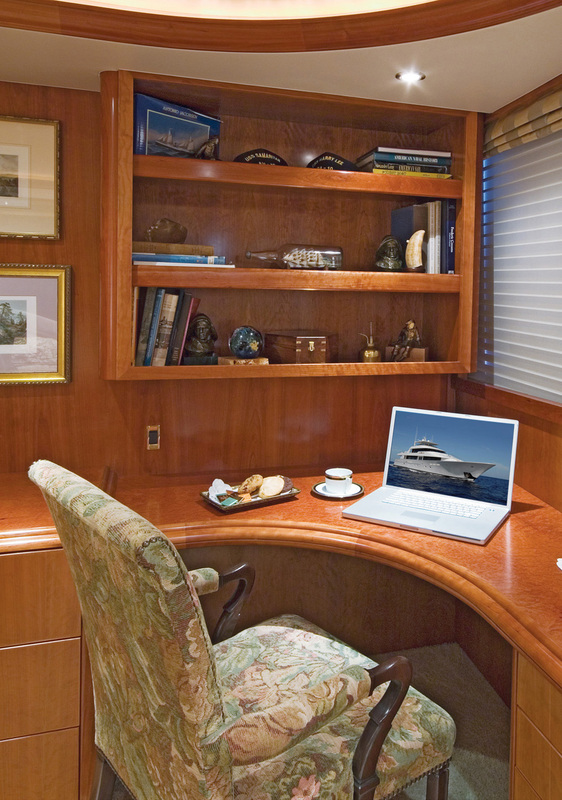 The cabin has a desk and writing area as well as a full entertainment system. 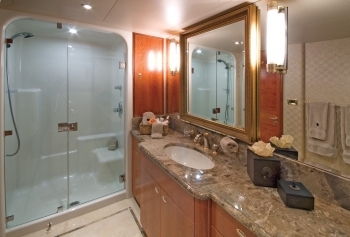 The large marble en suite bathroom contains his and hers amenities as well as a glass enclosed shower. 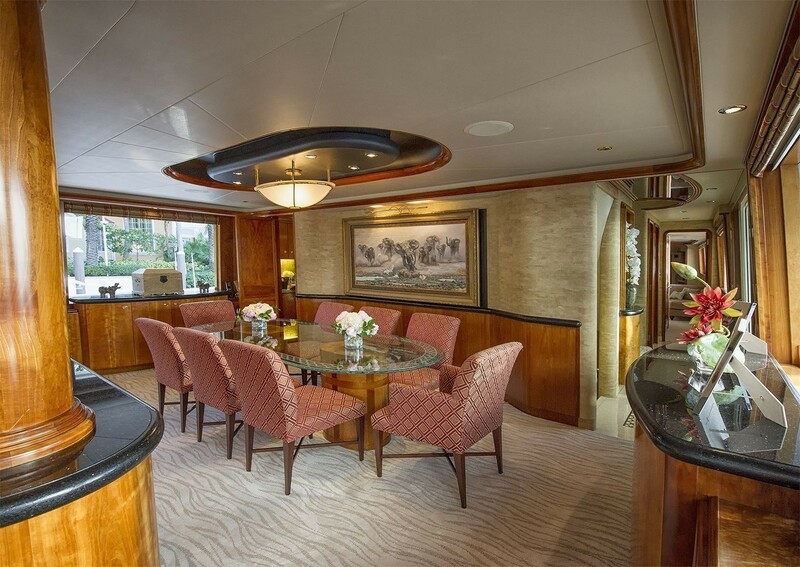 The 4 remaining staterooms are located on the lower deck accessed through the marble foyer via a staircase, located amidships. 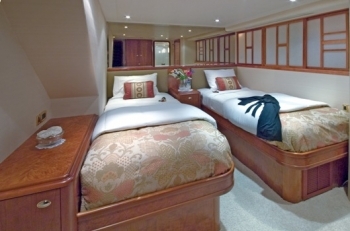 There are two identical King Staterooms and 2 identical Twin Staterooms each with ensuite facilities. 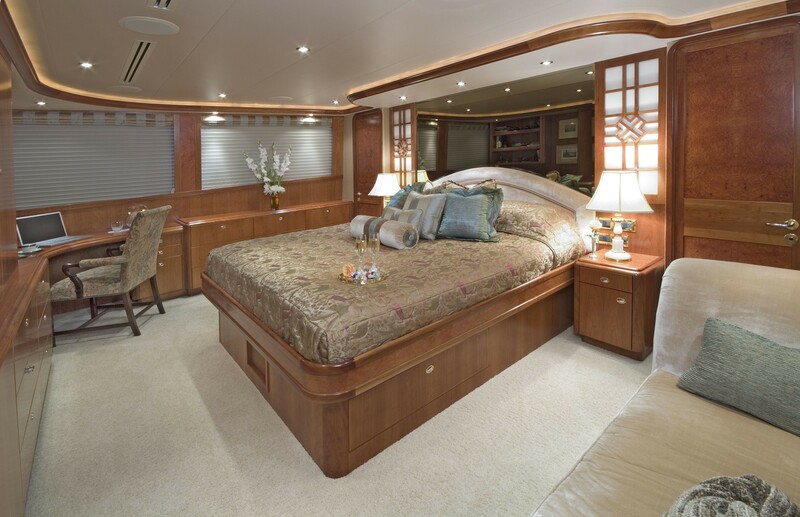 Both of the Twin Staterooms beds’ can convert into King sized beds, and also have a pullman berth making her an incredibly versatile yacht for both families and friends.